According to one story of the creation of Chanel No. 5, Coco Chanel commissioned the renowned perfumer Ernest Beaux to make six perfumes for her choosing. They were labelled No. 1, No. 2, etc. through No. 6. It was bottle No. 5 that was to Chanel's liking and became the chosen formula. The number "5" was also her lucky number. Chanel introduced No. 5 first to some of her friends on May 5, 1921. Initially, it was given to preferred clients for free at her boutique. The fitting rooms in her boutique were also scented with No. 5. In 1924, Pierre Wertheimer partnered with Coco Chanel in her perfume business. He owned 70%, Coco owned 10%, and her friend Bader owned 20%. Chanel agreed to owning such a small amount in exchange for having complete control over the product. Today, the Wertheimer family still runs the perfume business. 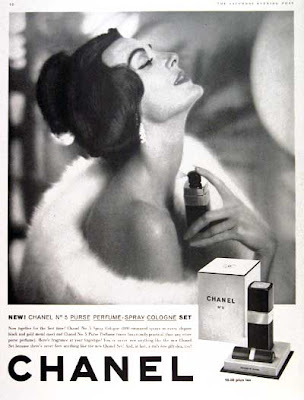 Sales increased in the 1950s, especially after the perfume was introduced in the United States. Movie star Marilyn Monroe's endorsement of the brand is said to have contributed to its popularity. 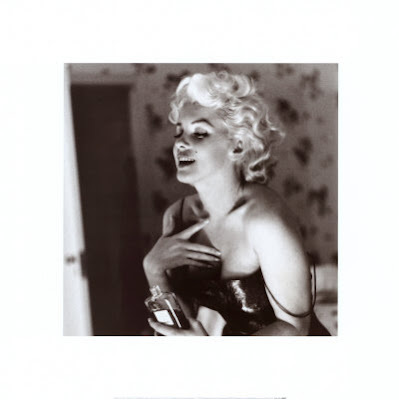 In 1953, when asked what she wore in bed, Monroe famously replied, "Why, Chanel No. 5, of course." Chanel herself is quoted as saying, "A woman should wear fragrance wherever she expects to be kissed." 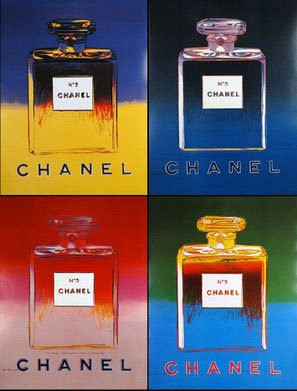 Andy Warhol sealed Chanel No. 5's status as cultural icon when he made nine silk screens of the perfume, elevating it to Campbell Soup status. And in 1959 the packaging itself made it into the collections of the Museum of Modern Art, New York. Famous spokesmodels for the fragrance have included Marilyn Monroe, Catherine Deneuve, Carole Bouquet, Estella Warren and Nicole Kidman, who in 2004 appeared opposite Rodrigo Santoro in a Baz Luhrmann-directed Mandy Walker-filmed multi-million dollar commercial entitled No. 5 The Film. 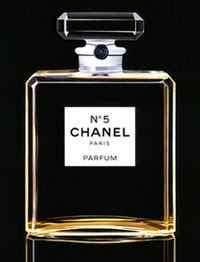 Today Chanel No.5 sells a bottle every 55 seconds! That's what I'd call a successful icon.